It’s NFL WILD CARD WEEKEND! And I know this because ESPN sent me the most frightening email yesterday to remind me. I’m normally all for floating heads, but I live in fear of falling asleep and having the floating head of Keyshawn Johnson bellow “C’MON MANNNN!” in my dreams. Also, what the hell is with the green glow? The Countdown Crew are aliens, I tell you. 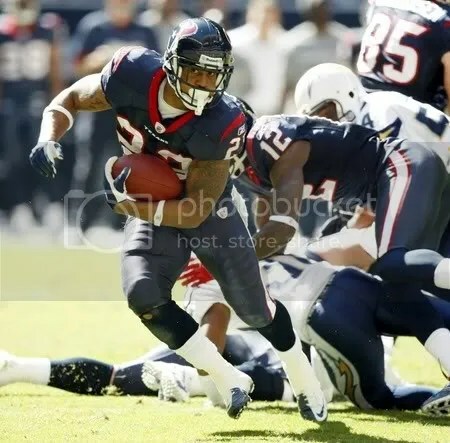 Arian Foster, bringing the awesome to Houston this season. A shout-out to Friend of the Blog thistlewarrior whose Bengals are looking to advance for the first time in more than two decades (sadness!) but I have a feeling the Texans will take this one despite the fact that they’ve suffered losses down the stretch. Reliant is going to be absolutely insane as Houston takes the field for its first ever postseason appearance, and as you know, we kind of have a thing for Arian Foster. This is the Wild Card game I’m most interested in this weekend because of the obvious implications for my/CuteSports’ Packers. I think it also promises to be a ton of fun. 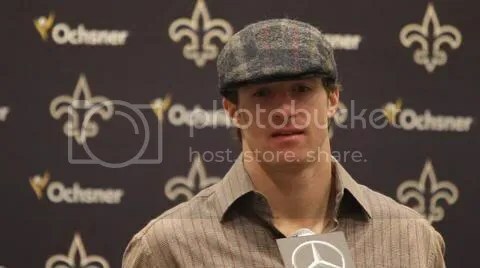 Brees has had an amazing season: besides leading me to Ladies… Fantasy Football respectability, he broke Dan Marino’s passing yards record over the holidays. The Lions are no longer the laughing stock of the NFL, going 10-6 this season. But they are visiting the Superdome, and let’s face it: the home teams are winning Saturday. As you can ascertain, we’re disappointed that the other New York team is not playing this weekend, as they were too busy imploding. Have fun with that mess, Rex. Anywhoo, both teams are meeting for the first time in the postseason, and we’re already being treated to the tiresome “It feels like 2007!” refrain. I hope the Falcons run over Eli and these guys. 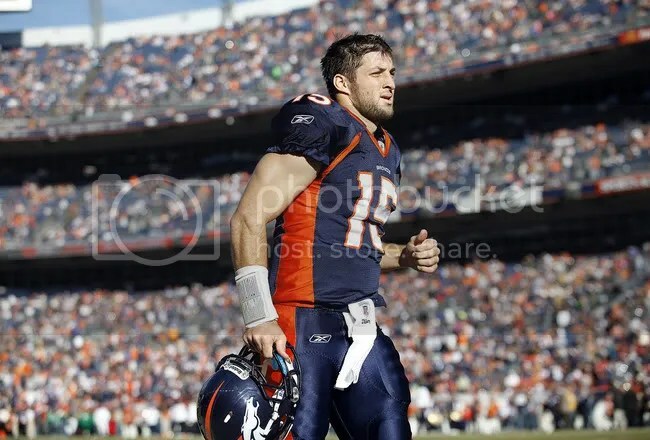 I was already tired of Tebow before he entered the NFL. And now? Holy snappin’ arseholes! I’ve never heard more hype about such a statistically underwhelming QB! And yet…I would love nothing more than to see him have a decent game against that rat Rottentosser. Actually, I’d prefer that a meteor hit Mile High, but that’s mean and wouldn’t be fair to the fans. What game are you most excited about? 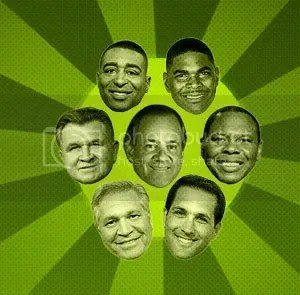 Let us know in the comments and enjoy the football this weekend! This entry was posted in Are You Ready for Some Football?, Atlanta Falcons, Cincinnati Bengals, Denver Broncos, Detroit Lions, Every Game Counts, He's on my Fantasy Team!, Houston Texans, Hype, Lady Bee, New Orleans Saints, New York Giants, NFL, Pittsburgh Steelers, QB love by Lady Bee. Bookmark the permalink. I'm a wrecking ball in a summer dress. I *guess* I will kind of root for Denver this weekend since my uncle is a big fan (he lived in Denver for a while so his fandom predates even the Elway era) and he continues to root for the team despite not really liking Tebow at all. 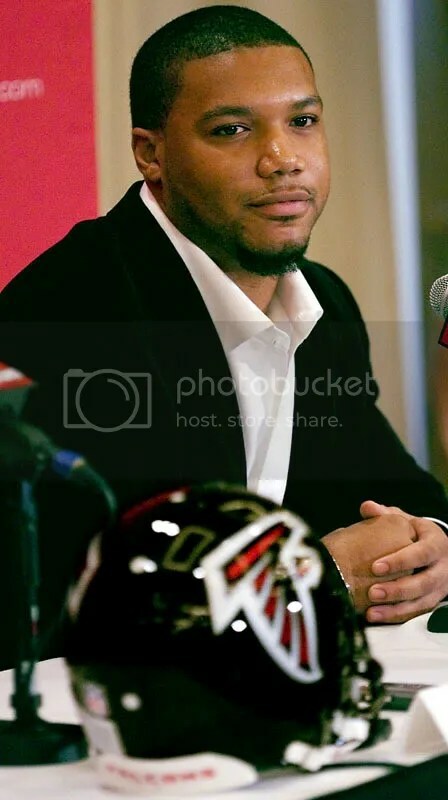 I will also be rooting for the Saints in a bar full of people, for the Giants (or really *against* the Falcons, the Saints’s arch-enemies), and then the Houston-Cinci game will be a tossup because, I love me some Arian Foster, but I also like Dalton (red hair) and Gresham (OU guy).